Hello Parents! My names Issi, I’m currently having my gap year and I’m looking for some casual babysitting work. I have 7 years experience looking after kids of all ages including working for an after school care facility for primary school aged children for the past year. I have my working with children check and have references from other families available upon request. I am a reliable, friendly and enthusiatic person with a positive and fun outlook on life. I look forward to hearing from you! I communicate well with kids, and I am especially passionate about encouraging education and a love to learn new things. I am more than happy to facilitate with homework, cook meals (including meals for those with allergies), do light cleaning and to also have fun by playing games or doing arts and crafts. I have experience with children of all ages. 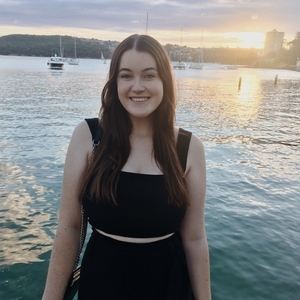 I recently graduated from high school last year, and have experience helping primary school aged children with their homework, and more than happy to help them with tasks such as reading, spelling, mathematics and art activities while babysitting.